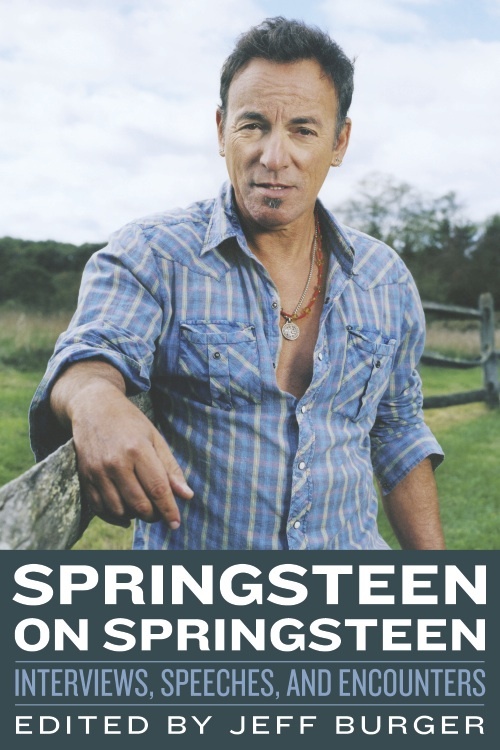 Offering fans an extensive look at the artist’s own words throughout the past four decades, Springsteen on Springsteen: Interviews, Speeches, and Encounters brings together Q&A–formatted articles, speeches, and features that incorporate significant interview material. No one is better qualified to talk about Springsteen than the man himself, and he’s often as articulate and provocative in interviews and speeches as he is emotive onstage and in recordings. While many rock artists seem to suffer through interviews, Springsteen has welcomed them as an opportunity to speak openly, thoughtfully, and in great detail about his music and life. This volume starts in 1973, when he was a struggling artist earning $75 a week, and follows him up to 2012, when he had achieved almost unimaginable wealth and worldwide fame. Included are interviews with well-known media figures, such as Charlie Rose, Ted Koppel, Brian Williams, Nick Hornby, and Ed Norton. Fans will also discover hidden gems from small and international outlets, in addition to radio and TV interviews that have not previously appeared in print. The book—a must-have for any Springsteen fan—features a foreword by singer/songwriter Elliott Murphy, and photos by Frank Stefanko, who produced the cover images for Darkness on the Edge of Town and The River. Springsteen on Springsteen, which Chicago Review Press published in April 2013 in North America, is available on Amazon and wherever books are sold in hardcover, paperback, and e-book formats. The book has been republished in England, Ireland, Australia, and New Zealand by Omnibus Press; in Japan by Space Shower Books; and in France by Editions Bartillat. Mr. Burger, I just finished your Springsteen on Springsteen book and I liked it immensely. It was great to read what Bruce Springsteen has told interviewers over the years, from the very early years of his career until now. It’s a pleasure just to read what he has to say about himself and about his music, without other persons standing in the way with their interpretations. It must have been a Herculean task to select the interviews, as he gave so many. I appreciate the selection you made very much. Thank you!